Don’t worry there is still a party!!! You are just in the wrong location. But the good news is you are only ONE click away. Let’s go to Not Without Salt!! …but not here. They are at notwithoutsalt.com! Come check out the new post. It’s crafty, cupcakey and carroty. Another snazzy new post is up at NotWithoutSalt.com !! You’re missing all the fun! 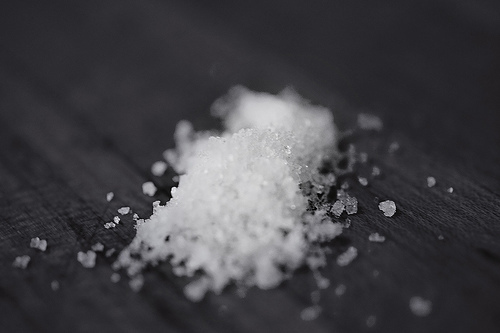 A new post has been added to NotWithoutSalt.com Go check it out! While you are at it change your reader and if you are one of the kind fellow food bloggers who link to Artisan Sweets I would be so very happy if you could update the link. Thank you so much!! The new blog is up and running!! Update your RSS because NotWithoutSalt.com is my new home. 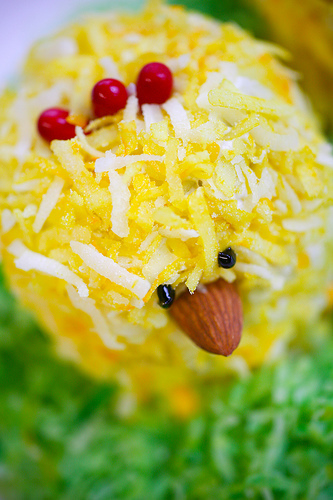 If you are a fan of Artisan Sweets then you are going to LOVE the new blog. All the same great recipes PLUS bigger photos, new super-cool design, more recipes for daily use and much more … but don’t take my word for it. Go check it out! Please. Shout out to my fantastic designer and programmer! Thanks Corey and Kyle. You guys were a dream to work with and I am so happy with the product. I smell a warm batch of cookies that have your name all over them! One of us tends to those cries while the other prepares the morning brew. Prior to crafting our morning cup the assigned brew master asks the other, “What’ll be?” You see in our home a cup of coffee comes in many forms. 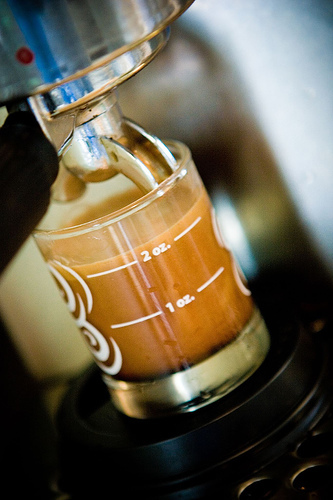 Espresso, Chemex or French Press. 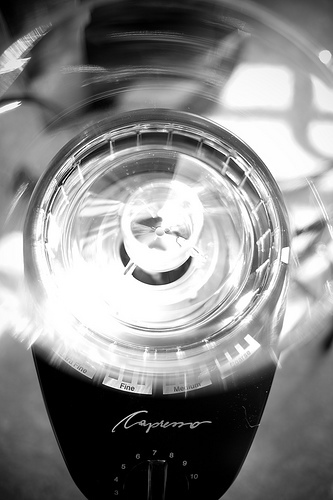 We vary the brew method often – keeps life exciting. But for the past week it has been the same every morning (and evening) with no desire to change any time soon. 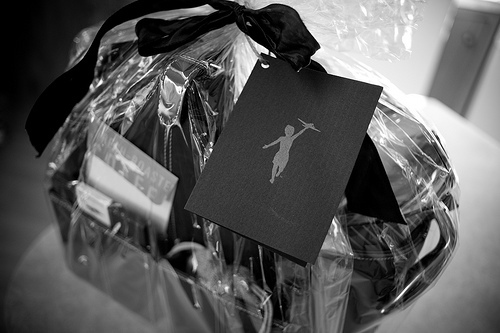 An inquiry came in my inbox a couple of weeks ago introducing me to Storyville. 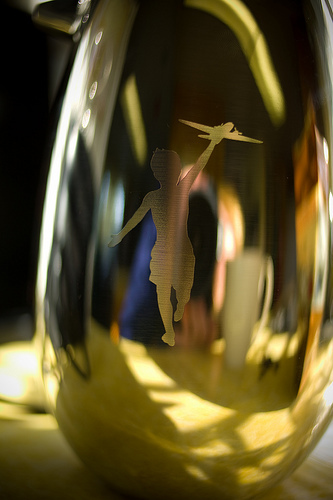 I checked out their site and was immediately drawn to their flawless design and iconic logo of the little boy flying his toy airplane. What impressed me even more was their mission to “save the world from bad coffee.” A lofty goal that I support wholeheartedly. We are very fortunate to be friends with Edwin and Nina Martinez, first of all because they are wonderful people and have enriched our lives greatly. Secondly because they have opened up the world of excellent coffee to us. 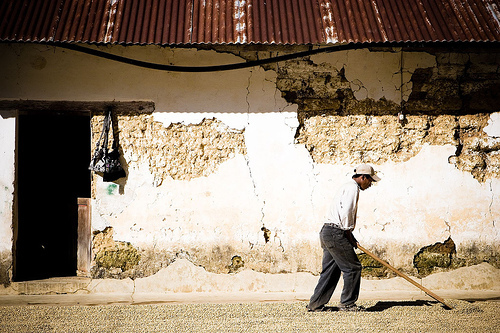 Edwin’s family owns Finca Vista Hermosa in Guatemala. Edwin also recently began Onyx Coffee with the goal “to increase appreciation for exceptional coffees and the people who produce them”. Gabe, my husband (and resident photography expert) had the pleasure of joining Edwin on one of his many trips to Guatemala. What I received in the mail shortly after blew me away. Not only did I get incredibly fresh roasted coffee but a beautiful french press and a conical burr grinder to execute the proper grind for french press coffee – which was so perfect because we have yet to uncover the box that houses our grinder and other brewing methods. Two mugs (which have since become my favorite coffee consuming vessel) a timer (for precision brewing) and a recipe were also included in the beautifully arranged package. 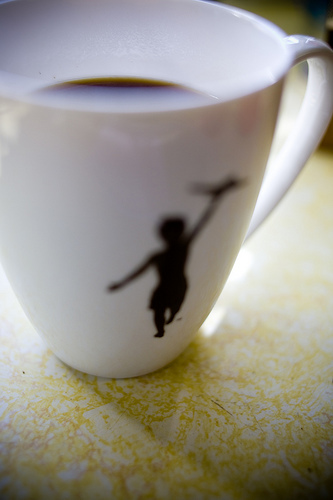 Without hesitation I set out to make Storyville’s Perfect cup of coffee. I followed the recipe precisely savoring the smell of the freshly roasted beans the entire time. Four cups of filtered water set to heat, 1/2 cup beans measured and placed in the grinder, four minutes set on the timer. The water came to a slight boil, beans ground, poured, swirl, stir, cover, press timer, wait, beep beep, gently push, pour, sniff, ahh, sip, ahhh, sip again, smile, perfect. 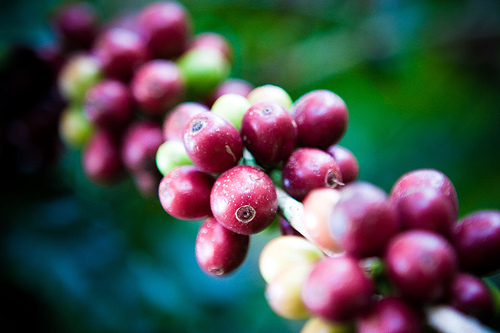 Storyville sings the song of freshness. 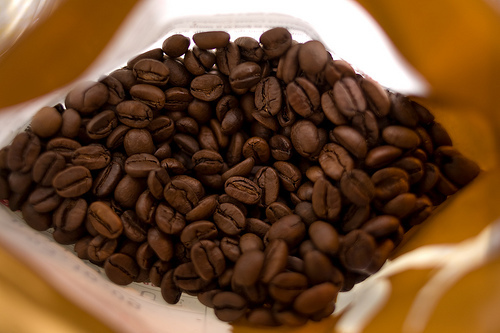 Contrastly, “Big Coffee” has figured out a way to extend the shelf life of coffee by weeks, months, even years – by over roasting. Over roasted coffee essentially removes all the tasty oils naturally present in the beans, leaving behind a burnt, flavorless brew. 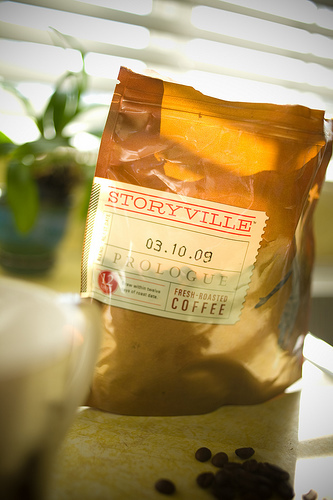 Storyville coffee is meant to be enjoyed within 3-12 days after roasting. They make this easy for you by delivering fresh beans right to your door if you sign up for the Storyville Private Reserve. Thank you Storyville for giving me the chance to taste “the rich, smooth, nectar of the gods.” I look forward to many more cups. 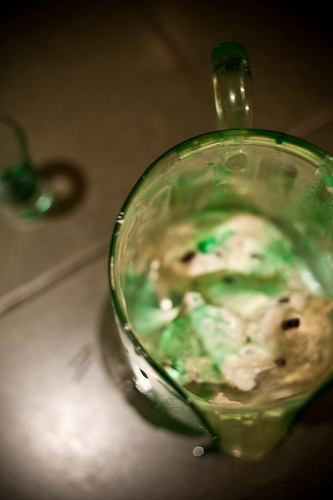 In a blender combine some mint chocolate chip ice cream (two cups), whole milk (1/2 cup) and creme de menthe (2 tbl.) Blend until smooth. 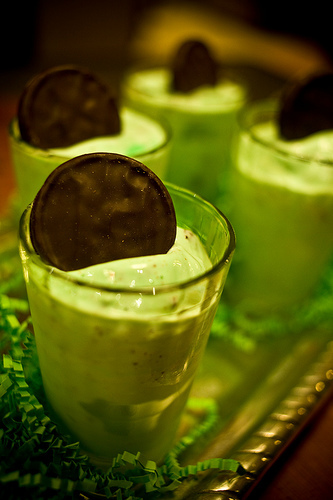 Serve with a mint chocolate cookie. 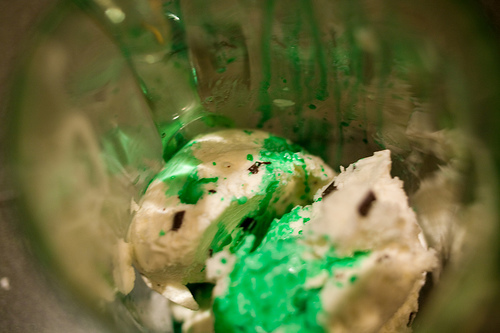 If you had more restraint then I did you might be lucky enough to have some Thin Mints lying around, if not, any good minty chocolatey cookie will do. Drink up! 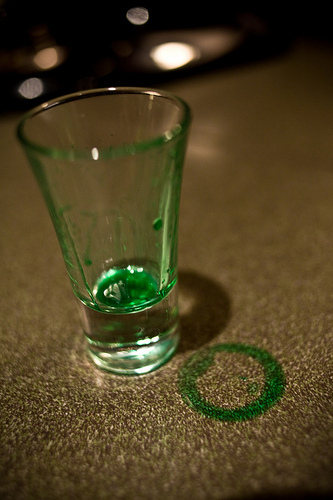 Need a refresher course on St. Patrick’s Day?! Check out this highly educational video. First of all let me apologize for my delay. We are embarking on the exciting roller coaster ride that is selling and then consequently buying a home. My husband and I decided to move back to Seattle for numerous reasons (this being one just for starters). Our life is on hiatus at the moment as our next move is to be determined by the selling of our current home. We are hopeful and trust that we will end up where we need to be but in the mean time we have moved out of our home, moved in with my wonderful in-laws and attempting to regain a bit of normalcy for our sanity and for our two young boys who are handling all of this extremely well. Thanks for being patient with me and keep the comments/emails coming I love them and read them all even if I fail to respond in a timely fashion. And hang tight as Artisan Sweets is about to get a NEW name and a NEW killer design. Lots of change and excitement around here! In the meantime let’s talk about CUCUMBERS. 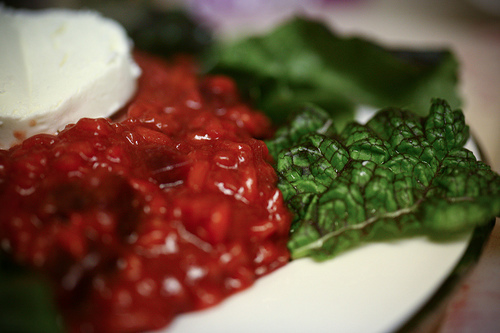 During the winter months the variety of local produce dwindles. In my box of organic produce that gets delivered to my door every other Tuesday I begin to notice an abundance of greens, apples and cucumbers where I usually see immense variety, vibrant colors and unique products that eagerly await my creativity to put them to good use. The apples get devoured by myself and my two boys before they ever have a chance to be covered by a flaky crust. The greens often get a brief saute with a myriad of vegetables then tossed with pasta, olive oil and parmesean. But the cucumbers. What do I do with the cucumbers? Is it just me or are there others whose data bank of cucumber recipes merely involve tea sandwiches and perfect rounds for removing puffiness? Surely there is more to the slender, green vegetable than pickles and spa water. After the last two cucumbers that once again sat in the fridge for a couple of days until I finally just sliced them and ate with a little vinegar and olive oil, I decided that they deserve more from me. But what? Thus I began my Cucumber experiment. Well, not really an experiment, more like a search to seek out other recipes that highlight this misused or underused vegetable. If you are not like me and you have recipes that make a lowly cucumber sing please let me know. 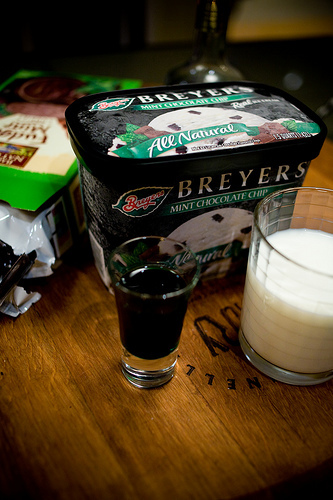 I would love to try them. 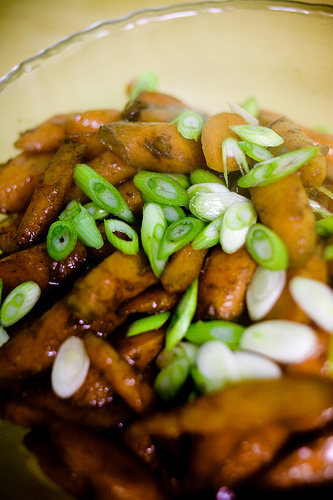 In the meantime I found a few recipes of interest and will be steadily posting them to the blog. 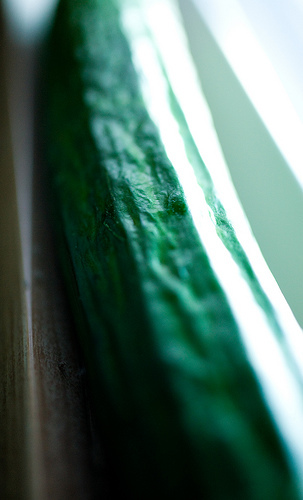 The first recipe I found most intriguing as I have never cooked and/or baked my cucumber. 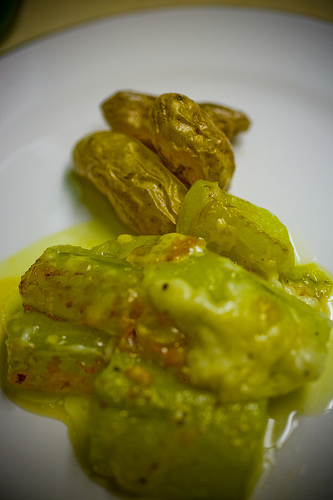 Cucumber au Gratin is a simple dish that involves boiling then layering the cucumbers with Gruyere and butter. The gratin is then baked and emerges from the oven bubbly and delicious. Please excuse the appearance of the dish. Had I used the correct baking pan I’m sure the results would have been a bit more attractive, but remember you are being patient with me because of the whole moving thing. I have absolutely no idea where my baking dishes are. Well, I have some idea – in an unlabeled box hidden behind the mountain of other unlabeled boxes. Beauty is in the eye of the beholder and taste is really what’s important here. I won’t go on and on about how it was the most fantastic thing I’ve ever put into my mouth because it wasn’t. It was, however, surprisingly tasty and so simple that I can guarantee this dish will be making its way onto our table again. Baked cucumber with gruyere? I had no idea. 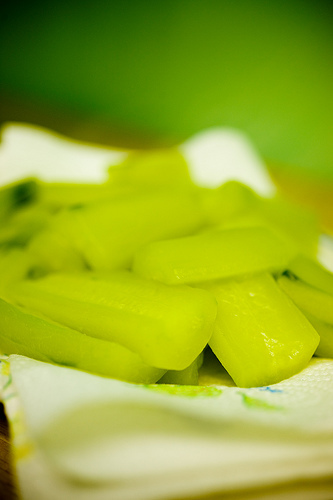 Peel the cucumbers & cut them into 1 inch pieces. Slice each piece in half lengthwise & remove the seeds. Cook the cucumber in boiling salted water for 10 minutes, then drain & dry. 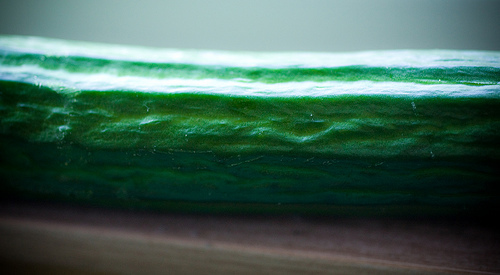 Arrange a layer of cucumber in the base of a buttered ovenproof dish. 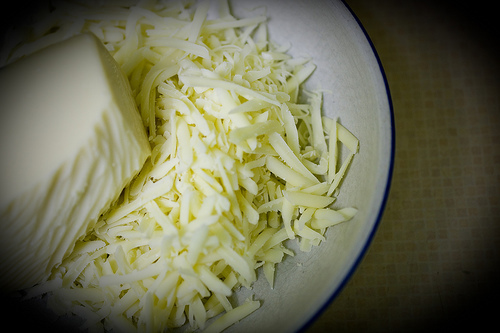 Sprinkle with a third of the cheese, & season with salt & pepper. Repeat these layers, finishing with cheese. Dot the top with butter. Bake the cucumber gratin in the center of a preheated oven at 400 for 30 minutes. Last night I stayed up far to late devouring Molly’s (Orangette.blogspot.com) book, A Homemade Life: Stories and Recipes from My Kitchen Table. If you haven’t already ordered your copy, what are you waiting for? There are so many recipes that I can not wait to try. One in particular are the fruit-nut balls. Like Molly, I tend to stay away from things that seem even remotely reminiscent of Fruit Cake. But judging by her description and assurance that these little gems truly are delicious I am eager to give them a try. It also helps that they are covered in chocolate. 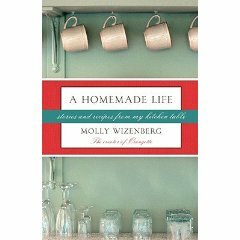 Molly writes of her life and food, which are so intertwined they can not be separated. As with many passionate food lovers, our lives are defined by the food we eat and the experiences involved while eating and creating delicious (and sometimes not so) food. Speaking with passion and a candidness that is so pure and raw, Molly’s words inspire and delight – which is the very reason why I could not put it down and am relying heavily on caffeine to get me through the day. Well worth it. For all you Seattle-ites come check out Molly at the University Book Store on March 3 – The day the book is released. I will be there cheering Molly on and would love to meet some of you. And if you don’t live in Seattle, check out where else you can find Molly here. My Network is the coolest!